Artim Theme is multi-purpose and has all the features you need. You can install and modify without your knowledge of the code. 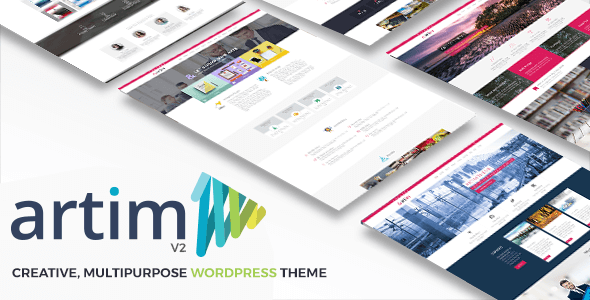 Artim is clean, creative, modern responsive blog, portfolio and multipurpose WordPress Theme. The Artim Theme is easy to use, fast and seo friendly. Now translated to Bengali, Portuguese, Chinese, German, Greek, Spanish, French, Hindi, Indonesian, Italian, Japanese, Dutch, Polish, Portuguese, Russian, Romanian, Turkish, Ukrainian, Vietnamese, Chinese, Bulgarian, Czech, Danish, Finnish, Croatian, Hungarian, Korean, Macedonian, Norwegian, Swedish! - Slider responsive codes edited.